plenty of never-before-seen bonus material. Perfectly timed for holiday gift giving, SANTA BUDDIES: THE LEGEND OF SANTA PAWS is sure to be at the top of everyone’s wish list! A quintet of adorable talking puppies followed the “Bud” movies in 2006, with the highly-anticipated launch of the BUDDIES series – and a puppy craze began as AIR BUDDIES became the biggest live action Direct-To-DVD movie of the year! 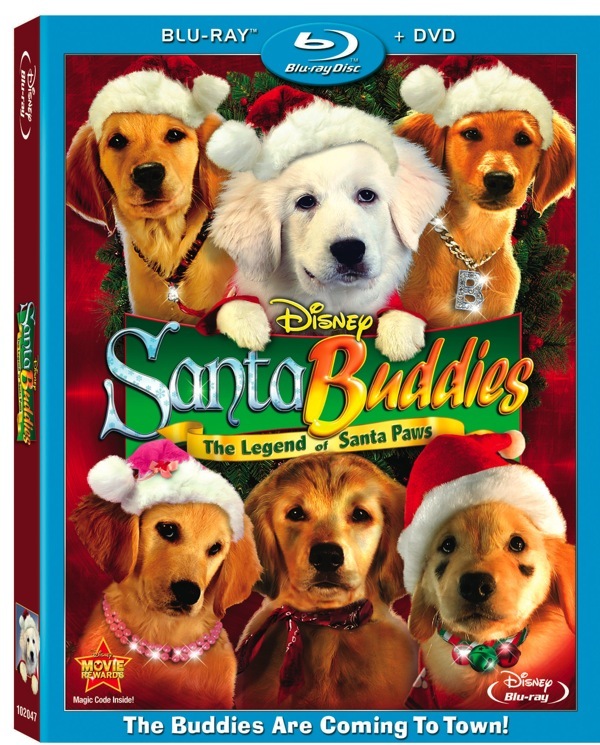 Now comes SANTA BUDDIES: THE LEGEND OF SANTA PAWS, arriving this holiday season on Disney Blu-Ray hi-def and DVD, and sure to be their greatest and most heart warming adventure yet. family will enjoy again and again. direct his fourth “Buddies” film. date for entries is November 28, 2009.